The game will feature a completely new and original single player storyline - exclusively designed for the platform - that stays true to the Bond film legacy. 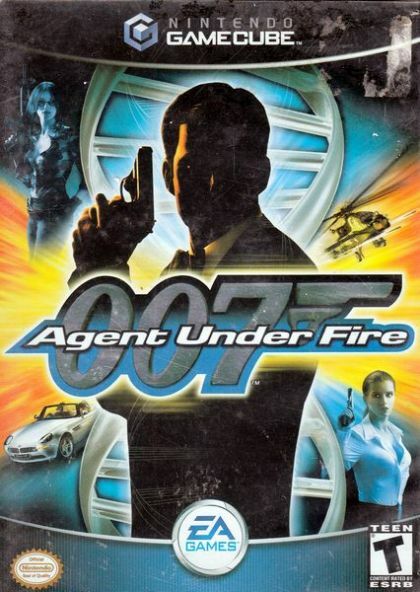 Agent Under Fire, a first person action title, promises to deliver a well balanced mixture of missions/levels filled with furious action and stealth, as well as whirlwind driving that is complimented by state-of-the art gadgets and sophisticated spy-craft that Bond fans expect. As Bond, players must defeat the evil criminal mastermind Artaud Malprave, head of a rising terrorist organization called CIPHER, who is bent on ruling the world with his clone technology and army of clones. Helping Bond along the way will be the gorgeous Zoe Nightshade and omnipresent master of gadgets himself, R. Each of the more than 10 exotic locations around the world will contain a generous offering of challenging missions and objectives. The player can choose to blast their way through each level using hi-tech weaponry, quietly rely on spycraft tricks and gadgets to accomplish objectives - or do a little of both. The driving levels will offer an array of 007-inspired exotic cars and daredevil combat from the movies. Only through the clever utilization of Q-lab weapons and gadgets along with Bond-style wit, will the player be able to defeat the minions of CIPHER… and get the girl. The game will utilize next generation console technology to help bring to life the detailed 3-D environments such as a massive deep sea oil rig set atop a secret underwater base. Agent Under Fire will feature strikingly beautiful women characters and the thrilling Bond moments that distinguish the 007 films from all others. Engage in a completely immersive first person Bond experience built exclusively for the next generation console system. All new, original single-player storyline that builds on the Bond legacy with villains and allies, both new and familiar. Three well-balanced gameplay experiences: action, stealth and driving. A full arsenal of Q-lab weapons, gadgets and autos to utilize. Fast, fluid action and spy-packed gameplay inspired by the 007 films. Fantastic detailed 3-D environments that can only be experienced through the eyes of Bond. Single and up to four person multi-player support.